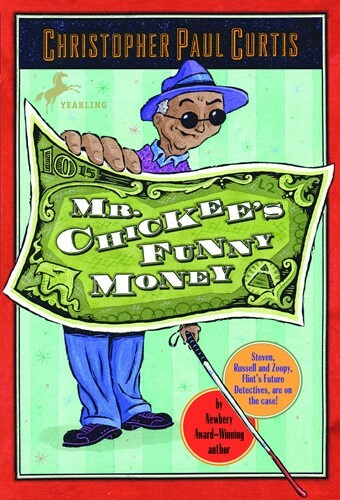 Mr. Chickee, the genial blind man in the neighborhood, gives 9-year-old Steven a mysterious bill with 15 zeros on it and the image of a familiar but startling face. Could it be a quadrillion dollar bill? Could it be real? Well, Agent Fondoo of the U.S. Treasury Department and his team of Secret Government Agents are determined to get that money back! But Steven and his best friends, Russell and Zoopy the giant dog, are more than a match for the Feds. After all, Steven is the president of the Flint Future Detectives Club, and the inventor of fantastic spying and detecting equipment such as the Snoopeeze 9000! From the Hardcover edition.